Pristine might not be the first word you think of when you’re thinking about trash bags, but these brilliant white garbage bags may change your life. 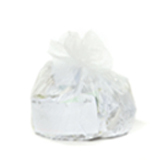 Brilliant white trash bags send a message of cleanliness and brighten up kitchens, bathrooms, offices, hospitals, and retail stores around the word. 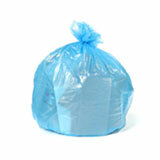 These bags are fully opaque and come in a wide variety of sizes and strengths. 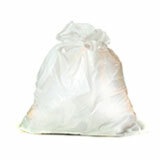 Our selection of white trash bags offers something for every application. 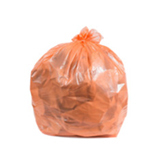 We have small garbage bags which are perfect to use as waste basket liners the home and large garbage bags which are big enough for outdoor rolling containers. 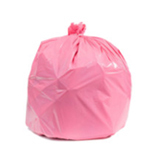 If you need thick garbage bags, remember that they key to choosing heavy duty trash bags is in the numbers: thickness is measured in microns or mils, and the higher the number, the tougher the bag. Our white can liners come in two different materials. 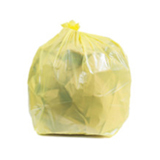 High density plastic bags are designed to be lightweight and strong. 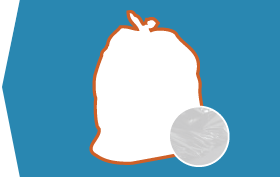 They’re good with heavy loads of trash, but if you’re disposing of sharp garbage, they can be prone to punctures. 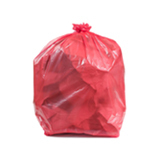 If you want thick trash bags, you should look for low-density plastic bags. Our white commercial garbage can liners are ideal for restaurant kitchens. 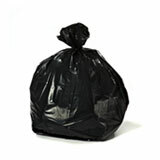 Moving to wholesale garbage bags is a smart move for any home or business. With bulk waste basket liners the savings can be significant, and you don’t have to compromise on quality. 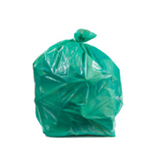 When you choose Plastic Place for your wholesale trash bags, you know that we’re behind you 100% with our satisfaction guarantee. We’re always ready to answer questions, give advice, and generally be as helpful as we can. 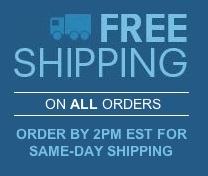 That means you can relax and save time, money and hassle by buying your bulk garbage bags online with Plastic Place.